Game warden jobs in the state of Illinois are highly sought after. Open positions are limited, so candidates are expected to be both highly trained and deeply passionate about the line of work they are pursuing. Game warden candidates are encouraged to have some background in ecology, and additional scientific and field training is always an asset. Candidates are also advised to develop a passion for communication and public education. A warden's job responsibilities could include creating displays and presentations that help people understand environmental issues and conservation efforts, collecting census data on animal and bird populations, and supporting conservation efforts throughout the jurisdiction by a variety of means. Game wardens are responsible for managing all of the fishing and wildlife incidents that occur throughout their designated area. Given the highly competitive nature of the current job market, candidates are carefully vetted through the hiring process in order to find the most suitable candidate, so it is important for potential applicants to understand the selection process, qualifications, and additional requirements in order to be as prepared as possible. The Illinois Office of Law Enforcement supports state Department of Natural Resource programs designed to protect the state’s natural resources. Thanks to Conservation Police Officers, the state is able to regulate and enforce hunting and angling regulations, as well as firearm, boating, and trapping safety. While conservation of natural resources is their primary duty, Illinois Conservation Police Officers have full police authority that is in effect state-wide. These individuals train to the same high standards that state police officers do. In addition to the above mentioned responsibilities, Conservation Police Officers lead advocacy and classes, and often support other agencies during emergency situations. Qualified applicants that enjoy the wilderness regions of the state and who are also interested in law enforcement are encouraged to pursue Conservation Police Officer application process. However, due to the rigorous requirements of the role, applicants should be fully prepared for the process. Listed below are the minimum qualifications to apply for the role of Conservation Police Officer in the state of Illinois. 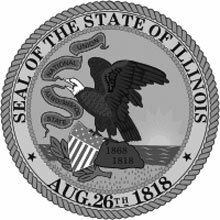 A full listing of the requirements can be found on Illinois’ Department of Natural Resources website. License: A valid Illinois-issued driver’s license is required. Work Eligibility: New employees must present original documents that establish identity and eligibility for U.S. employment opportunities as per federal law – applicants must be eligible to accept employment before the process continues. Have completed a high school diploma or equivalent. Field Training: CPOTs receive five months of on-the-job training by working with veteran field officers in a rotation of various field locations. Upon successfully passing all components of the CPOT Trainee year and subsequent 4 months of probation, a candidate is considered certified as a Conservation Police Officer. Hearing: The applicant must be able to hear without significant loss. Vision: The applicant must have good vision in both eyes and may use corrective lenses. Demonstrate any receptive and expressive bilingual skills. The Illinois Department of Employment Security reported that conservation police officers in the state earn significantly higher wages than their colleagues in the country overall. For example, the median salary among officers in Illinois was $91,542 as of 2015 - 76% higher than the national median for game wardens. Experienced game wardens in Illinois earned an even higher average salary - $101,214. Even the entry-level salary for a game warden in the state exceeded the national median among game wardens, with those just starting out earning an average of $62,371. In Illinois, game wardens employed with the state’s Department of Natural Resources are known as conservation police officers. The Illinois Department of Central Management Services breaks out the salaries for these commissioned law enforcement officers, which includes significant increases for longevity.